← Listening while reading: can it actually help develop reading skills? In my last post, I looked at reading while listening, and how it might help learners both to read more fluently, and to acquire more language. Reading while listening is a form of something known as ‘repeated reading’, a strategy whereby a student reads a passage several times, either silently or aloud. The idea, as discussed in the previous entry, is to develop greater fluency or automaticity, and there is evidence to suggest that it works, and, moreover, that it has a positive effect on the student’s language development as a whole. 1 Conduct a pre-test. The student reads a passage aloud while the teacher records the reading time and any mistakes. The teacher then clarifies any problems. 2 The student practises reading the passage again on their own, out loud or silently, several times. 3 The teacher records the student again and makes a note of reading time and any mistakes. 4 Teacher and student discuss the improved time (pretty much inevitable) and whether there were fewer mistakes. I can see this working very well in some contexts, and being disastrous in others. Your call, I think. If you don’t want to take such an overt approach, you could try thinking about real reasons why a student might need to read aloud in English, and build activities around these. For example, the class might enjoy reading a one-act play, repeatedly reading it in order to prepare for a recording. Or, many ESOL classes are made up of parents of young children, just learning to read in English at school. These parents could definitely benefit from practising reading aloud their children’s favourite books. Or try some activities where there is a goal or outcome, other than simply improving your reading fluency. For example, a dictogloss in pairs. Student A reads the text out loud, at a natural speed, while B tries to write down as much as possible. This is repeated until B feels confident that they have the whole text. B can then read the text back to A, for checking. This works best if the more fluent reader in the pair is A, the one who initially reads the text, as this way A is able to give a good model. The activity could be extended by changing the pairs, so that B then takes away the text to dictate to a new (A) partner. This way, B also gets the repeated reading practice, but only after they have heard the next a number of times from the original A.
Choral reading, as a class, has also been shown to be very effective, but in its unadulterated form seems rather dull and childish. You could try putting a text on the board or smartboard, getting students to read it aloud as a class, and then rubbing out random words, so that they have to remember what was there. Of course, this is as much about memory as reading, but it does provide a powerful motivation. It is also a good opportunity to work on weak forms and linking- demonstrating how these occur in the text which is being read. And, of course, repeated reading does not have to mean reading aloud. A nice activity which can be done with absolutely no preparation is to ask all the students to read the same passage silently. After one minute exactly, stop them, whether they have finished or not, and ask them note how far they got. Tell them to start the passage again, from the beginning. Stop them again after one minute and ask them if they read any further this time (they almost certainly will have done). The beauty of this activity is that it is completely differentiated, as each student is working at his or her own level, and under no obligation to expose their reading level to anyone else. Tompkins, G. (2003). Literacy for the 21st Century: Teaching reading and writing in pre-kindergarten through grade 4. New Jersey: Merrill Prentice Hall. I have never been a fan of reading aloud so this week instead of only praising your fantastic blog I am going to ask a question. How do you define a mistake? Is it stumbling on the pronunciation of a word? That to me doesn’t show either comprehension or lack of. but again a thought-provoking blog that is encouraging me to revisit my closed mind on reading aloud. No, I agree, I am not sure about this myself. I suppose, because the method is taken from teaching children to read in their first language, and specifically English, it would be about the correlation between the written word and its pronunciation. Which, as you say, would not necessarily have anything to do with comprehension. However, I think an ELT/ESL/ESOL teacher could adapt this method by focusing on the meaning of the text first (and I should perhaps have said this), and that it might, with the right students, be motivating. I’m not really a fan of reading aloud either (vivid memories of spending half my A level French reading books aloud and not understanding very much). However, like most things, I think there probably are ways in which it could be beneficial, and I’m indulging myself by playing with a few ideas! Make me think a bit of a dictogloss, except that it is a story your reading rather than your own text. I’ve done some activities where it starts of as a plain text. Then they have version two of the text with some adjectives that change the feel. Finally the student have a text with gaps in it and they insert adjectives to change the feel of the text to something different. Would this be a repeated reading task or is this more language focus? What do you think? Thanks for stopping by and for sharing your ideas. In answer to your question, I guess it might primarily be a language focused activity, but, if the learners are also focused on reading and re-reading the text, then it could also be aimed at developing reading fluency. IMO the very best kind of classroom activities are those where there is more than one reason for doing it. Not least because that means that each individual student can take from the activity what they need. Repeated reading may encourage regression (the habit of going back to read the same sentence over and over) when readers come to reading more authentic texts later on. It would also slow the reading speed. I think that many bad readers are sruggling with the problem. Therefore, it’s not desireable at all. Thanks for stopping by and commenting. I know what you mean about unconfident readers not trusting enough to read without checking every word and sentence. However, there is quite a lot of evidence that repeated reading does help with fluency. Maybe an answer is to also do some skimming and scanning type work so that readers see that different ways of reading are possble? Rachel, thank you for some good ideas. 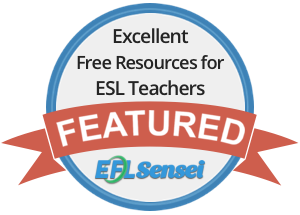 I am adjusting your ideas to fit into an ESL situation – I work at a secondary school in the South Pacific where English is the second language, but it is also the language of instruction, and we are hopeful that strategies like this can be applied to all grade levels, across the curriculum. I agree with your position that repeated reading needs to be interesting and relevant – we are looking to use content area reading to improve oral fluency here. Thank you. Further recommendations are welcome!! !